To receive the Winter Enrollment Rates, application and deposit must be received by January 31st AND full payment must be made by March 1st. 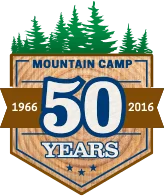 We offer Bus Service to Mountain Camp from three convenient Bay Area locations. Click here for more information. If you have any questions, please do not hesitate to contact us.